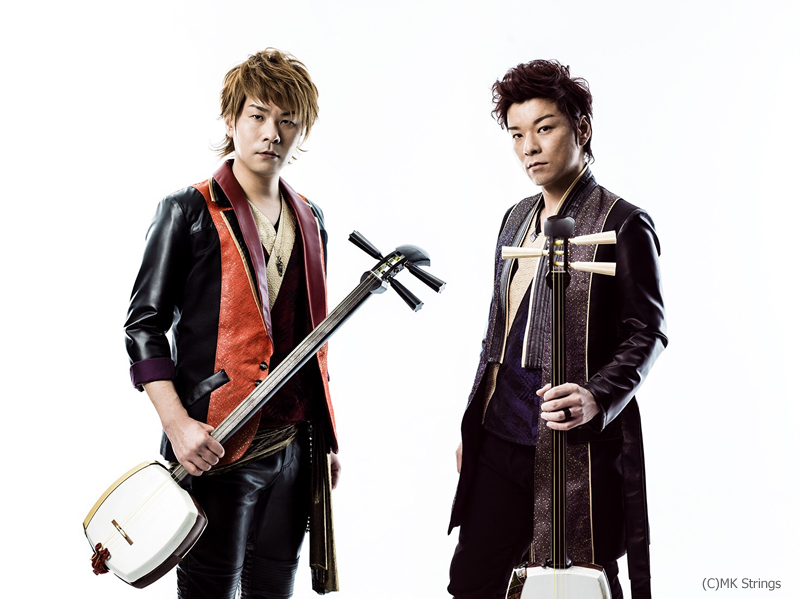 The Shamisen Brothers band KUNI-KEN wish to share shamisen of Japan with the world.The Brothers are from Yokkaichi, Mie Prefecture, Japan. 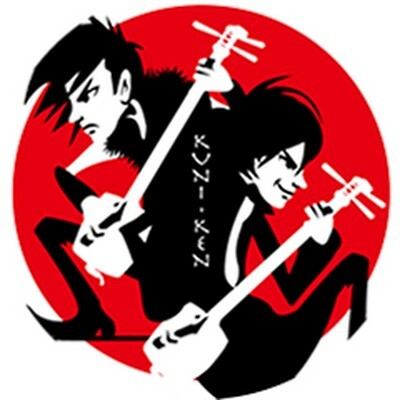 KUNIAKI (the eldest) and KENJI (the youngest) form the band KUNI-KEN. 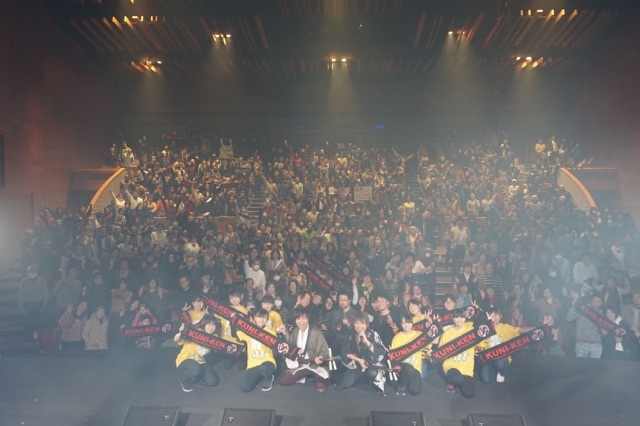 They have performed in various Asian countries such as Singapore, India, Dubai and Macao. Their original song fused with rock music was used in a TV commercial in India to promote TOYOTA. They have performed with the Japanese dancer TAKAHIRO, in Singapore, who had participated in Madonna’s world tour. KUNI-KEN also co-starred with Tokura, a freestyle foot baller who actively performs overseas. -KUNI-KEN one-man gig at the 2005 Love earth EXPO Dome (Japan), which successfully achieved a full house of 3,000 seats. 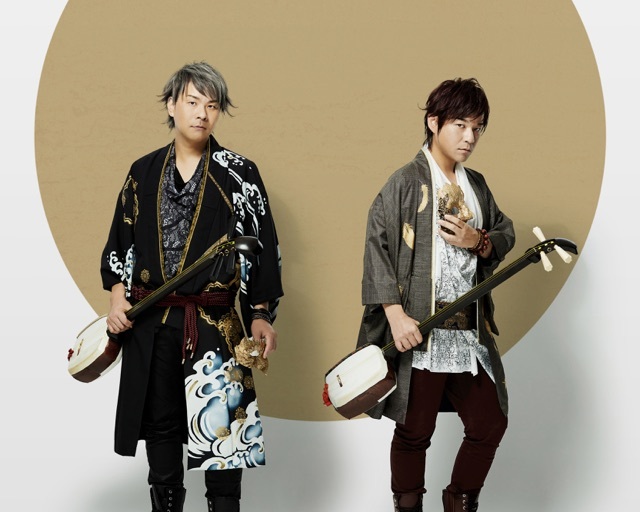 – Their original song “NIBACHI-MUGEN (Two plectrums and Six strings) ” was used for a TV and radio commercial to promote Toyota, which aired in India in 2007, they also performed in 2 cities in India playing 4 performances. – Played national anthems representing six countries with shamisen at the “World Figure Skating International Tournament, and the Opening Reception” in 2009. – Attracted media attention as Asian based artists, after the appearance in “Cool Japan”, the event conducted by the Ministry of Economy, Trade and Industry, in Singapore in 2011. In 2004, Mie Prefecture cultural rookie of the year award. In 2007, Television radio CM tie-up tune (India) “NIBACHI-MUGEN” of Toyota “Corolla” and “Innova” sales campaign ‘Touch Toyota Feel Japan’. In 2010,CM song “Funky Time” of atom group’s Sushi restaurant “NIGIRI-NO-TOKUBEI”. In 2016,CM song “IPPON” of “SNOWBOARD TENGOKU”.